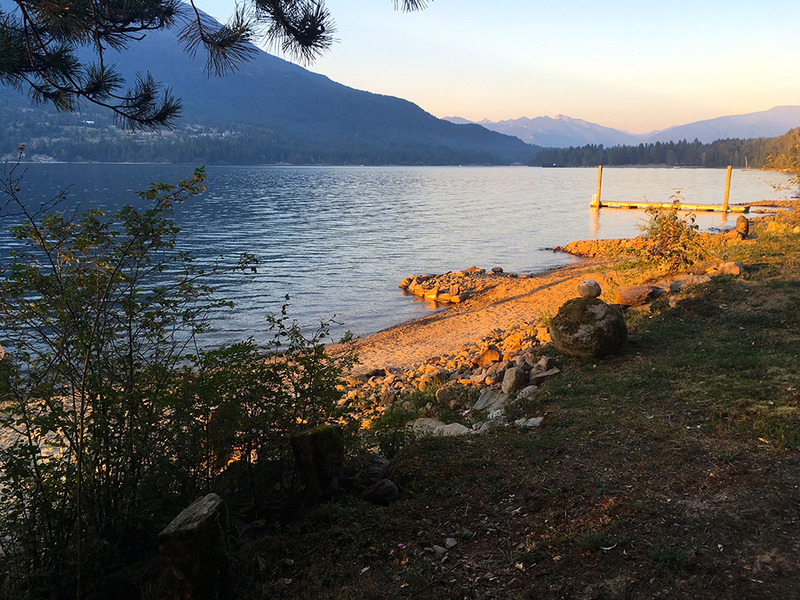 The pristine water of Kootenay Lake provides spectacular opportunities for exploration! We have 200’ feet of private waterfront, featuring a sandy beach, and a brand new 20’ x 24’ dock. Guests are welcome to use the Adirondack chairs and picnic table, folding beach chairs, and the water toys marked “Guest” (1 canoe, 2 sit on top kayaks, a stand-up paddleboard, blow-up “floaties”). There is also a rustic outhouse at the Beach. To access the Beach, cross Harrop-Procter Road and follow the path directly opposite our driveway, to the Railroad tracks. Exercise great caution when crossing the tracks, as this is an active railway, and trains come by twice a day (no schedule). Continue down the path to the Beach. This is a special place for contemplation and reflection. Continue up the driveway, past the garden, towards the forest and mountains. 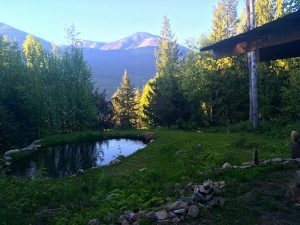 Our meditation pond, stone sitting circle and fire pit are to the right, marked by 2 tall birch trees. The pond is fed by our own Greenwood Creek, the source of our delicious water. It’s a great place to just be with the sound of rushing water and sweet breezes.